On July 1st, 2018, it will be a year since the introduction of the goods and services tax (GST). Heralded as India’s greatest tax reform, the Goods and Services tax aims to free Indians from multiple taxes, setting the base for a unified common market. One Nation, One Tax, One Market. Under GST, every minute detail of every item sold is being digitally uploaded in a central tax database for over eight million Indian businesses. If we average minimum 120 invoices per business, it still means a billion records every month. This is a mammoth task which has proved both challenging as well as rewarding. The challenges have ranged from infrastructure (complicated compliance, tax slab revisions or last-minute timeline alterations) to psychological. India is not a DIY (Do it yourself) economy. Especially, when it comes to taxation. Evasion is easier than compliance. Challenges notwithstanding, The Indian Government has been extremely proactive in dealing with them. They have made changes to the goods and services tax systems, ushered in technology and addressed sectorial concerns with the issuance of Notifications, Circulars, FAQs, clarifications, Industry and Trade connect programs. Ably supported by both public and private companies. In India, taxation has been predominantly manual and late in adopting technologies. GST has made technology adoption necessary. GST has paved way for a lot of innovation as well as an opportunity to educate the masses. Whether an SME, MSME or a large enterprise, there is a prescribed regime with a uniform tax slab that everyone will fall in. There is no scope for evasion or legal wrangling. This makes it really easy when it comes to doing businesses. Not to mention it routes out corruption, eliminates the middlemen, is anti-profiteering and beneficial to the economy. A key mechanism under GST has been the input tax credit, something not possible in the pre-GST era. SMEs now have an incentive to maintain proper records. 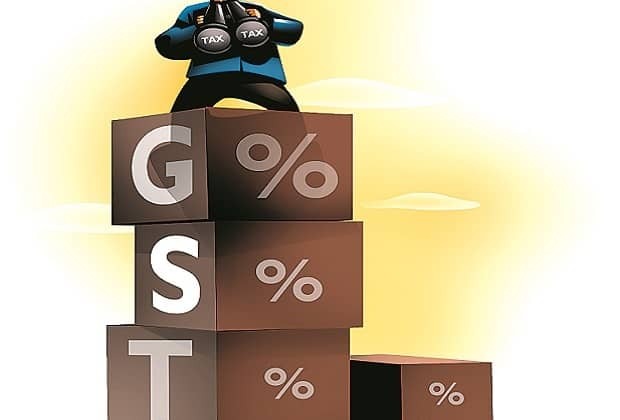 Such record-keeping will be useful to banks performing credit assessment as they can cross-verify financial statements from the GST Network (GSTN). It will increase compliance and improve financial inclusion for the entire economy. Logistics: After the GST rollout, India successfully jumped 19 positions (35th from 54th) in the Logistics Performance Index (LPI). The implementation of e-way bills was also a bold move. After a wobbly start, the second innings of e-way bill system implementation has been successful. Physical check posts have been removed from the states thereby reducing the transit time and increasing the revenue per vehicle. As per April 2018, The goods and services tax collection crossed 1 trillion. Total assesses stood at 8.71 million and the total returns filed were around 6.04 million. Total GST compensation to the states for FY18 has been 478440 million. That is a healthy benchmark to start the next year in. This is a win for India and now that the tax regime has stabilized, it’s time to look ahead and continue the technology innovation and behavioural changes that further help in realizing the One Nation, One Tax dream. “For any economic change to reap optimal results, it is critical for all players to contribute and we at Alankit are doing just that. With a network of over 5000+ centres and a proven technology expertise, Alankit is committed to Digital transformation in India. With a 22-city evangelization drive and regular GST camps, we have on ground experience that we aim to utilize in creating a favourable environment with effective technology implementation. It includes automating various processes of Invoice Creation, E-Way Bill Generation, Return Filing and overall integration that leads to seamless compliance.” –Ankit Agarwal, Managing Director, Alankit Limited. For the coming year, the Government needs to now focus on simplifying the complexities in the law whereas businesses should aim at increasing technology adoption and improving compliance. We hope that the second year of GST will be even more successful than the first. One Year of GST: The Good, The Bad and The Could Be Better 0 out of 5 based on 0 ratings. 0 user reviews.